PASSING by the dumpsite cannot pass for a pleasant experience. The putrid odour emanating from the site and the thick smoke that enveloped the entire vicinity, tend to choke a passerby. In the midst of this, you find scavengers, armed with sacks, rakes and other implements, scavenging through the dump for items for either recycling plants or bottles for local gin manufacturers. Sadly, the go through this chore on daily basis oblivious of the health implication of their trade. While these people , perhaps as a result of their strong immunity against the effect of the smoke, soldier on, it is a different ball game for others elsewhere. 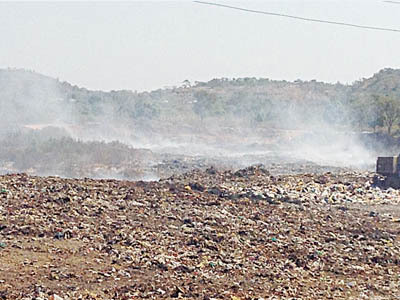 About 50 girls of Government Secondary School and other schools in Bwari were said to be affected by the smothering smoke emanating from a dump site located at the back of the town. Some of them were rushed to Bwari General Hospital and others to the Kubwa General Hospital for treatment after they passed out as a result of the choking smoke. The doctor who treated some of the students but would not want his name in print, said the effect of the smoke could cause respiratory problems and could trigger off asthma in sufferers. Other effects, he outlined, include chest infection and damage to the lungs. He explained that tests and examinations conducted on the students showed that they suffered from lack of clean and fresh air and as a result they found it difficult to breathe properly which led to their passing out Residents of the area said they had gone to the environmental department of the Bwari area council to complain about the dumpsite and the effect of smoke coming out of the refuse dump which covers a large span of land in the town, but got no response from the department. The alleged that they first complained to the police public complain unit and was told the police has no jurisdiction to treat issues of environmental pollution, which necessitated their visit to the council. Churches, hotels and private business owners too were said to have taken step to reach out to the chairman of the area council whom they accused of allocating the land for the purpose of refuse dumping. They faulted the chairman’s choice of approving such a central place as refuse dump in an area council which he vowed to protect. Every complaint seemed to have fallen on deaf ears and so, on a daily basis, residents of Bwari are itching towards early graves, if what medical science said about smoke is anything to go by. The Federal Capital, Abuja is adjudged the fastest growing city in the country for obvious reasons. Unlike a country like China where the entire land mass is distributed into provinces and states assume some level of autonomy, with each running its affairs, power is concentrated at the centre in Nigeria. The reality is that nothing moves unless approval is given from Abuja. Some might, of course, want to argue that the population of China may as well swallow that of Nigeria as it is possible for one to fly six hours non-stop within China, this picture will leave a governor to think twice before deciding to come to Beijing just to get an approval from the president for anything. A report released recently indicated that the entire population of the United States can fit into the four most populous provinces in China. There are cities in China that are more beautiful than the capital, as a matter of fact; Beijing is not the most beautiful city in the country. Individual states had taken its areas to enviable status with all infrastructures and social amenities in place that citizens has no business going to Beijing to seek greener pasture. But because of the over concentration of virtually everything in Abuja, citizens who could not share part of the national cake by way of being in positions of authority find their ways to the FCT to have a feel of what it meant to be a Nigerian. What is more, the population of the city overshot its banks quickly and the fact that government does not have projections for growth has not helped matters. Those who built Abuja did not take into cognizance the existence of artisans who would repair the vehicles of those in the corridors of power, cook for them, tend their flowers or drive their wives to the markets or children to schools and other sundry assignment not to mention civil servants who were made to relocate from Lagos when Abuja assumed the status of the capital of Nigeria. The resultant effect of lack of vision and projection of government of Nigeria is infrastructure deficit in all facets. 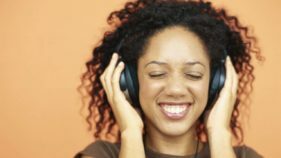 No salary earner can afford to stay in the city centre and this resulted in the creation of suburban districts popularly called satellite towns around Abuja. These are districts that are not within the Federal Capital City, but because of their proximity to the FCC, thousands of those who work in the FCC reside there. These include Kubwa, Gwagawalada, Lugbe, Bwari, Karu, Nyanyan, Mararaba, Jikwoyi, Mpape, Karshi, Dei-Dei even as far as Kwali. One satellite town that cannot boast of clean air at the moment is Bwari, the headquarters of Bwari area council. Bwari is over 40 kilometres from the city centre but on a daily basis, truck loads of refuse are brought to the town and dumped at a refuse dump just behind the town. The dump is directly opposite the only abattoir in the area were animals like cows are slaughtered daily for the consumption of the people. Apart from the fact that residents of this area are being smothered by smoke on a daily basis, epidemic could break out in the area due to the unhealthy state of the abattoir. Beside, the abattoir is a sorting ground for scavengers. These are young men who first sort out materials from the refuse that can be recycled and house hold appliances that can be repaired before the remaining things are set ablaze. More worrisome is the fact that the dump which occupies a reasonable space is right under a length of high tension wire. Over time, there is the tendency for the heat generated by the dump to have damaging effect on the wire which could make it snap and this is just another accident waiting to happen. All over the world, the amounts of waste are largely determined by two factors: first, the population in any given area, and second, the consumption patterns of the people. This, however, is not the case of Bwari. The nightmare they continued to endure as a result of the refuse dump cannot be said to be attributed to their population and consumption patterns. These refuse are brought in from other places and dumped there. The reason for the choice of Bwari for the dump may not be unconnected to the fact that the town is located very far from the rest of the federal capital. The one thing that had continued to make Bwari relevant however is that some key federal offices are located there. For instance, the Abuja branch of the Nigerian law school, the Joint Admissions and Matriculation Board (JAMB) has its headquarters there, the Federal Government Girls’ College apart from other secondary schools and the town is the headquarters of the Bwari area council. These institutions have again been able to pull other private institutions like banks and other private tertiary institutions into the town. Management of waste. The issue of waste is a serious public health issue that hasn’t really been quantified. According to the UN, between now and 2025, the world population will increase by 20 percent to reach 8 billion inhabitants. And unless specific control measures are broadly adopted, the total population will be around 9.5 billion by 2050. If this becomes a reality, then a population of 8-8.5 billion in 2050 may be considered a successful stabilization of numbers. It is important to note that 97 percent of this growth will happen in Asia and Africa, which includes some of the poorest countries that have the least capability to absorb it. After 2025, it is expected that Asia will hold more than two thirds of the world’s population. This growth also will boost urbanization of the population, urban population is expected to be around 65 percent of the total one after 2040, and the creation of extended zones of poverty around and inside megacities. The number of inhabitants of slums will be double around 2025 and will reach 1.5 billion. Obviously, both the increase in the population and the remarkable growth of global GDP will drive an increase in waste volumes. Although estimating the waste growth expected may be difficult, but it will definitely be huge. Just to give an idea, using macroeconomic data from Organisation for Economic Cooperation and Development (OECD), it has been estimated that a 1percent increase in national income creates a 0.69 percent increase in municipal solid waste amount. It is expected that the bigger the GDP, the more advanced and effective waste management systems and technologies should be put in place. It is therefore expected that Nigeria that had over time boasted of increased GDP should put effective waste management systems and technologies in place and create a whole spectrum of disposing waste in order to safeguard the health of its citizens because again globally, remarkable changes to waste composition are coming and Nigeria cannot afford to be on the sideline. 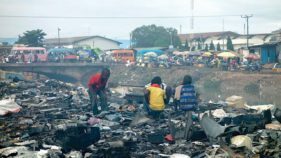 If care is not taken, Nigeria may again be a victim of the crime of illegal waste shipment and waste trafficking as exporting waste illegally to poorer countries has become a vast and growing international business. This is as a result of companies trying to minimize the costs of new environmental laws that tax waste or require that it is recycled or otherwise disposed of in an environmentally responsible way. The case of the waste deposit in Koko Delta State some years back is still very fresh in the memories of many Nigerians. With the reality of the law of propensity to consume, the plethora of new products will be rapidly expanded, consumed and finally transformed to new waste streams. So clearly time is a factor here. First globally, new products are launched, consumed and transformed into new kinds of waste before an effective waste management solution is established for them. Most of the time, problems with managing new kinds of waste emerge after the product has been consumed. Second, the time taken to establish a new separate waste stream network, or a new technical solution for the new waste stream, generally is by far longer than the lag-time between production of a new product and its transformation to waste. And for Nigeria that is mostly a consuming nation, the stark reality is that consumables are being brought into the country even in form of waste. There is nothing on ground, as it were, that the waste management system of the FCT is capable of handling the plethora of new kinds of waste. The agency saddled with the responsibility of waste management in the city only pick waste from less than 20 percent of the residents and dump them in designated areas, one of such areas is the Bwari dumping ground while the rest 80 percent of the residents find ways round disposing their wastes themselves and one popular way is throwing them in undeveloped plots of land up until such land owners comes around to begin to build or they simply wrap the waste in cellophane bags and leave them by the road side. The desire by Nigeria to actively progress in the IT field resulted in importing used computers from Asia and Europe. Over time, that had resulted in the country becoming a dumping ground and the springing up of refuse sites in major cities. Heavy metals are very difficult to remove from the soil and in most cases; the damage caused to the land is so huge and most times irreversible. For instance, the Director General of the Standards Organization of Nigeria (SON), Dr Joseph Odumodu, had complained bitterly at different for a, that what Nigerians see as simple electricity bulbs are capable of causing irreversible damage to their health and the environment. He maintained that cheap bulbs imported from Asia to the country contain mercury and filaments that do not decompose; this he said could lead to degradation of the environment. Odumodu therefore canvases for citizens to always ensure they purchase products that are of high standards and quality that also have a long life span. He said with the National Quality Policy (NQP), the country would be able to regulate its imports and insist on quality and standards. His words, ‘’The NQP would get to Nigerians because it is a very highly technical activity and it is going to bring into a document issues of standardization, conformity, assessment, and accreditation. So what we are going to do with the National Quality Policy is actually to redefine a new culture where we say that this is important to us and as a result of that, we would respect it. Of course, if I go further to that and say an average Nigerian would buy a product and every time you ask them, why they chose that particular product, the answer is usually ‘because I can afford it’. And you also say this one you bought is not the good one, this other one is the good one. ‘They say yes but I cannot afford the good one’. The National Quality Policy will also redefine our mind set so that we begin to patronise quality as a basis for consumption and customer relationship. He stated further: ‘’ The world is moving and what we have found is that everything goes along with technological advancement and all that and one thing that has become clearly imperative for us as a country is that we have a National Quality Policy. It is not rocket science. It is just a document that defines who we are and what we define as quality. The implication of the NQP is that if you bring those substandard products, nobody would buy them. It sounds impossible, isn’t it? But it is going to work. I have demonstrated with bulbs, if you go and buy bulb that sells for N500, it is likely to be a bulb that meets standards which you could use for six months, but there are lots of bulbs that are sold for N100 and you keep changing them maybe every week. You find out that in a period of 12 months, people have spent N2,000 changing bulbs alone rather than buying the one for N500 that would last them for a whole year. And people keep telling you they can’t afford N500 bulb, that is not true because to change those bulbs, you may have to climb something so it is not only the cost of buying the bulb but how about the risk of climbing and changing them. Anything can happen. There could be a fall or electric shock and nobody is even taking about the cost of transportation going and buying the bulbs’’. Odumodu is convinced that no agency of government would have to run after importers of substandard goods as citizens would naturally not patronise them by the time the effect of the NQP fully gets to the people. The World Health Organization, in conjunction with the World Bank, in a report estimated that 23 percent of the deaths in the developing world are attributable to environmental factors, including pollution, and that environmental risk factors contribute to more than 80 percent of regularly reported illnesses. If nothing urgent is done on the smothering smoke being inhaled by the residents of Bwari, then they might be said to be dying slowly and systematically. Some of the people who spoke with the Guardian said they had to leave the head lamps of their vehicles on even as early as 5 pm in order to be visible to any coming vehicle The Guardian was at the office of the chairman of the area council but he was not on seat. A note was dropped for him, but no response was received from him until the period of filing this report. The director of the Abuja Environmental Protection Agency was also not on ground for comment. At the Federal Government Girls’ College, the vice principal academics explained that most times the school authority had to make students stay outside their dormitories in order to be able to breathe because the smoke would have occupy their rooms in such a way that the next student would not be visible to the other. 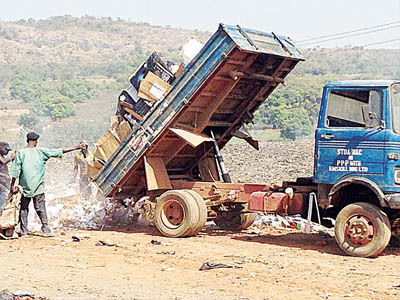 The country needs a National waste management strategy, am a chartered waste management expert with over 13years experience, I have proposed sustainable waste management to various state in Nigeria, but they play politics and believe once waste is collected it’s managed, what Most state does is waste movement from one place to another. Seriously the political will and professional engagement is required urgently.